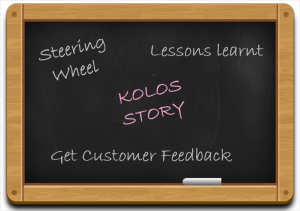 Ivaylo Kalburdzhiev, a Bulgarian entrepreneur ad founder of Kolos had to shut down his start up after he didn’t end up doing well with his start up idea. The young and imaginative entrepreneur had a roller coaster ride trying to sell his idea in the real market. Ivaylo learnt a lot of things he should have considered before jumping on to a start-up. Ivaylo once ended up seeing an image where a person had made a steering wheel out of plastic which was attached to his phone to play a car racing game. This image is what gave him the idea to create a hardware to which we could attach an iPad and play any racing game. Having this idea he felt that he was a genius. 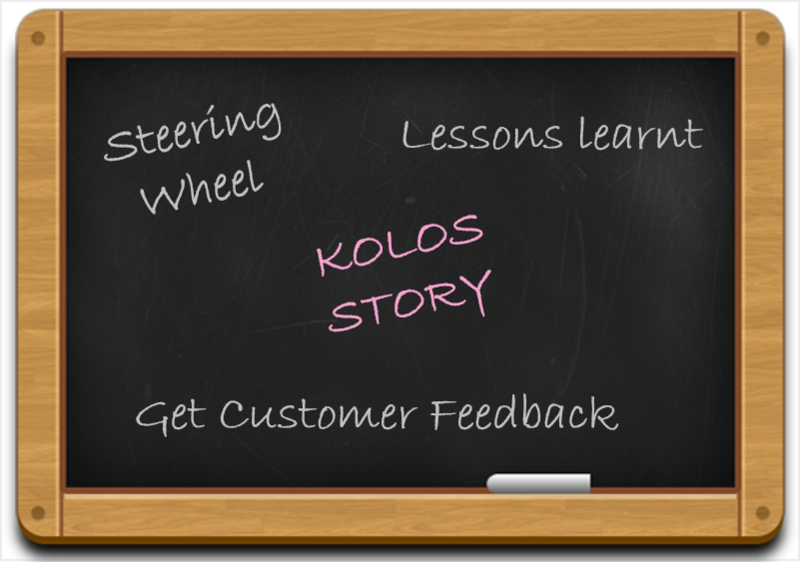 He arranged for a $30,000 loan from the bank and invested make his idea into reality, to build Kolos, a racing wheel for full sized iPads. Ivaylo launched his idea on “Indiegogo”, a crowdfunding website, to test the demand for the product. But he couldn’t get much out of it. So he started attending conferences, building networks and getting feedbacks. In the summer of 2014, the team was funded with around $20,000 making the total fund of $50,000. But still people were not interested enough to buy it for themselves. After three years of product development, the product featured in a Kickstarter campaign. Eventually the team had to drop the idea. Ivaylo, through this journey learnt a lot and is never embarrassed about it. He openly shares his learning experience. Before starting on to something, know the problem and understand if it is a real problem or just an assumption. Look if there is completion for it. If no, then think why no one has yet come up with the problem? Think if it is really a big issue and if it is really required? Ivaylo felt he should have built and MVP before starting and should have got feedback from Apple customers. Ivaylo feels that he should have individually talked to his customers to get to know the actual problem which would help him know if his product was really required. Choosing the right product is what every start-up should have its focus on. The wrong product would undoubtedly lead to a failure. Ivaylo focussed only on the iPads. The team should have focussed on all the other tablets, making their market a bigger one with more customer count and more opportunity. The product was built when the market of iPads was moving down. This affects both the sales and demand of the product. Ivaylo spent his funds on many unneccesary things like 3D models, prototypes, trademark etc. He also spent some for personal use. This is one mistake that one should never make. Being a start-up one should focus cleverly spending the funds only where required. Being naïve is never an option. Be truthful to yourself and ask yourself if the plan you are executing is really required. The faster you fail the quicker you learn and get chance to stand up again to a new opportunity. If there is no progress even after a long time, it’s time to quit as quickly as possible and learn from your mistake. Every failure story teaches some learning, some share it while a few feel embarrassed about it. One has to take proper initiatives, learn what to do, what not to do and how to implement idea before starting something.